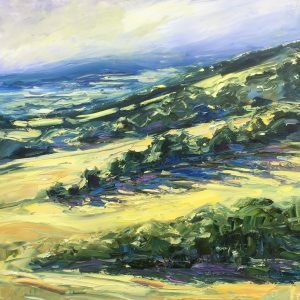 I am a Cotswold landscape painter, based in a studio at Painswick in Gloucestershire. I walk the valleys and hills, gaining my inspiration from the woods, meadows and hedgerows, painting ‘en plein air’ when possible. My aim is to capture the effects of the light on the land though the medium of oil paint with palette knife. 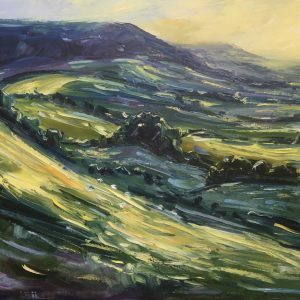 I am a self-taught artist, with my love and understanding of the countryside underpinned by reading land management at the Royal Agricultural University, and throughout my life living and working alongside farmers and foresters. I have been exhibiting my work and painting professionally for 15 years, and show my work widely throughout the Cotswolds and beyond. 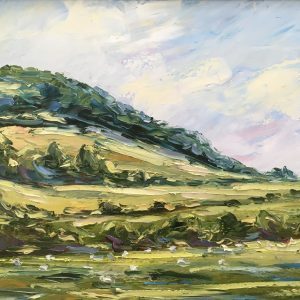 My current project is to hold a regular pop-up exhibition at locations throughout the Cotswolds, showing my art in the landscape that inspired them. 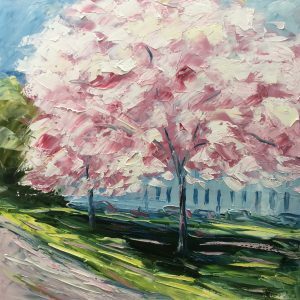 I often sell paintings straight off the easel – I love the idea of people buying freshly produced paintings as they might buy freshly cut flowers.